The Greeks have spiced their wines for over 2000 years. Gustav Vasa, king of Sweden (1496-1560) was very fond of blending of Rhenvin (Rhine wine), honey, cardamom, cloves, cinnamon and ginger. 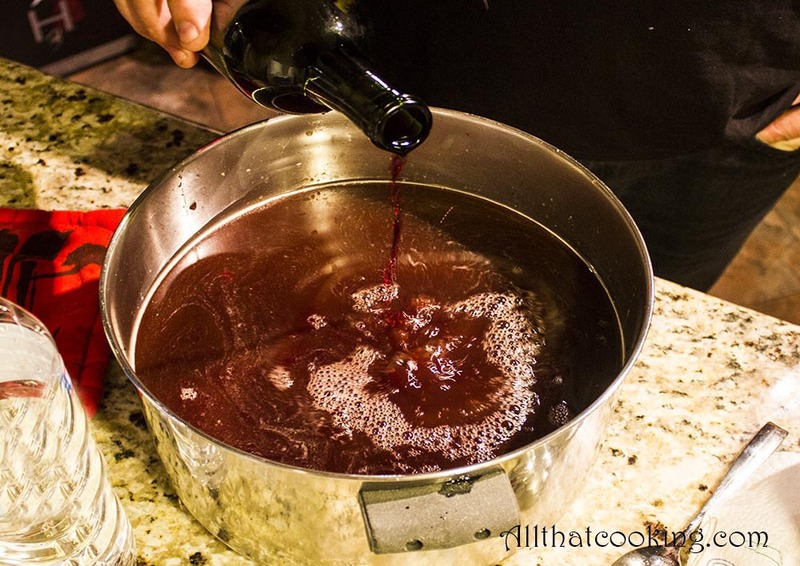 This mulled wine drink was made by the king’s very own Glögg brewer. Today inviting friends and family for glögg is a December tradition throughout the Nordic countries. Glögg is available with and without alcohol and some people still like to brew their own. 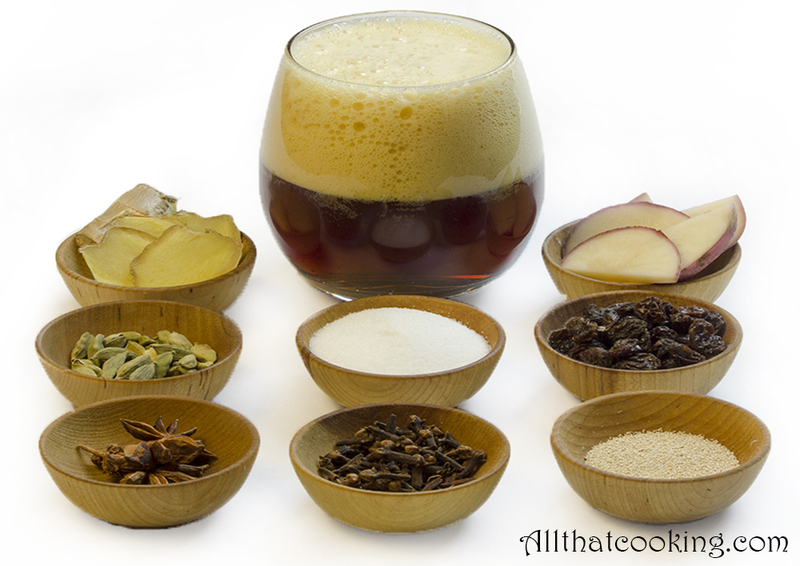 In Sweden people brew it from a dark malt like drink called Svagdricka. In Iceland you would use Jólaöl which is made of malt liquor, lager and appelsin – orange soda. Both of these drinks are sold before Christmas appearing on market shelves in plenty of time for home brewers to purchase. The recipe I use is from my dear friend Britt Marie, but I have tweaked it to my own taste. 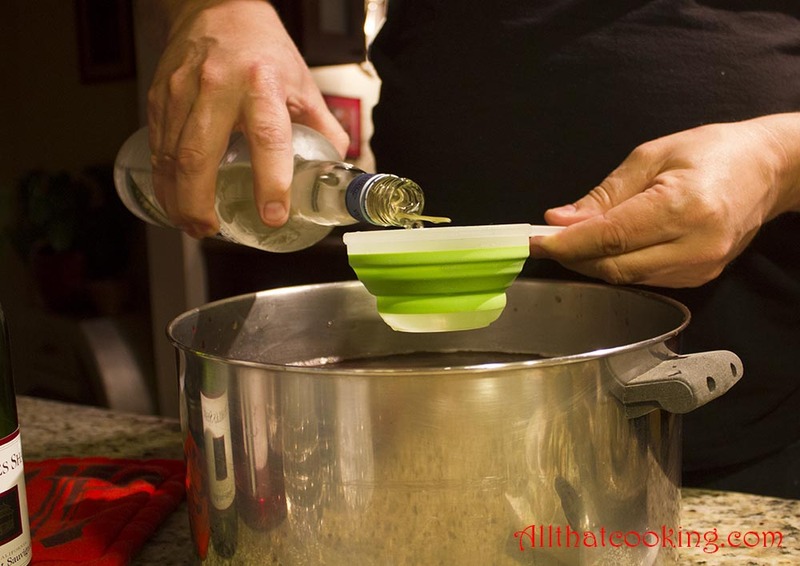 There is no need to add the vodka and/or the red wine if you prefer a lower alcohol content. The basic recipe is just fine and tastes just as good. So without further ado, get the following ingredients together and start your own batch of glögg. It needs 3-5 weeks to ferment. 1. 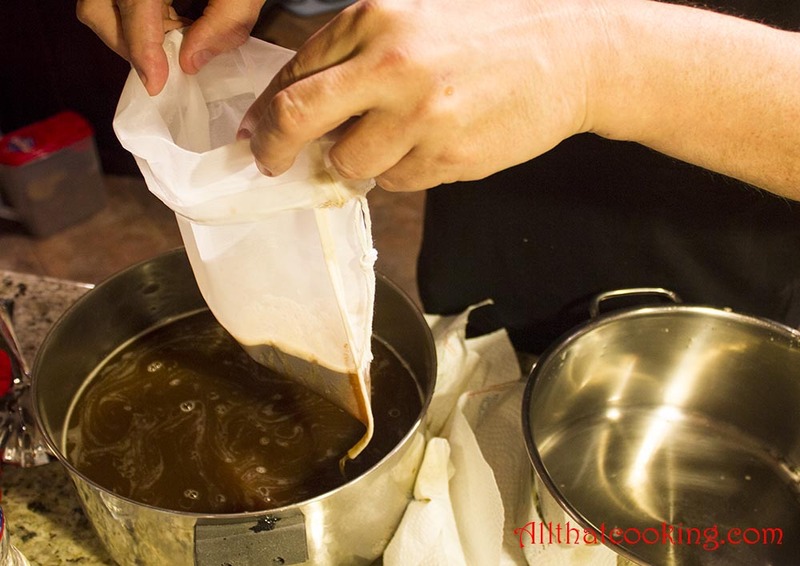 Place ale or beer and sugar in a large plastic container and stir well until sugar dissolves. 3. Cover loosely and let stay at room temperature for 3 weeks. 4. About once a week gently stir the brew. 5. 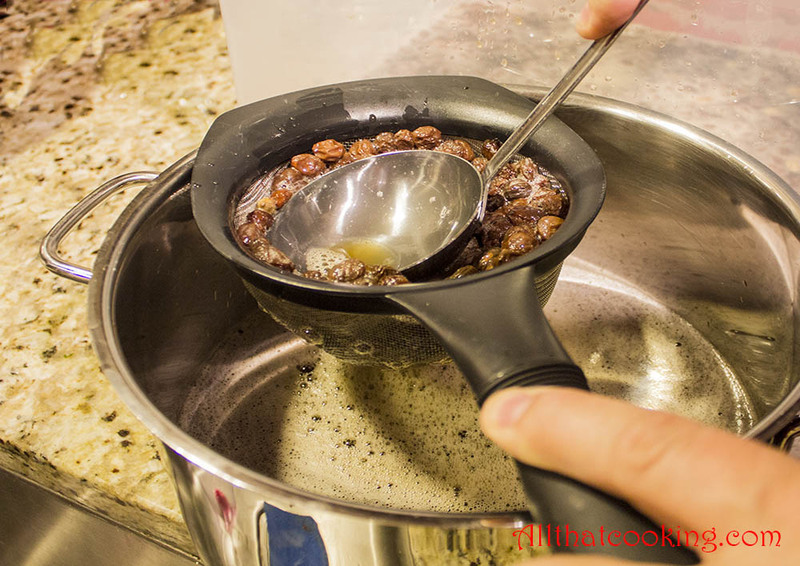 After 3 weeks pour the liquid through a strainer, pressing all of the juices from the solid ingredients. 6. Drain the liquid once more through a very fine cloth. 7. Let the liquid stay a couple of days and then scoop the glögg into another container. Discard the sediment. Let stay for another few days and repeat the strain and discard sediment process twice more. Invite some friends. 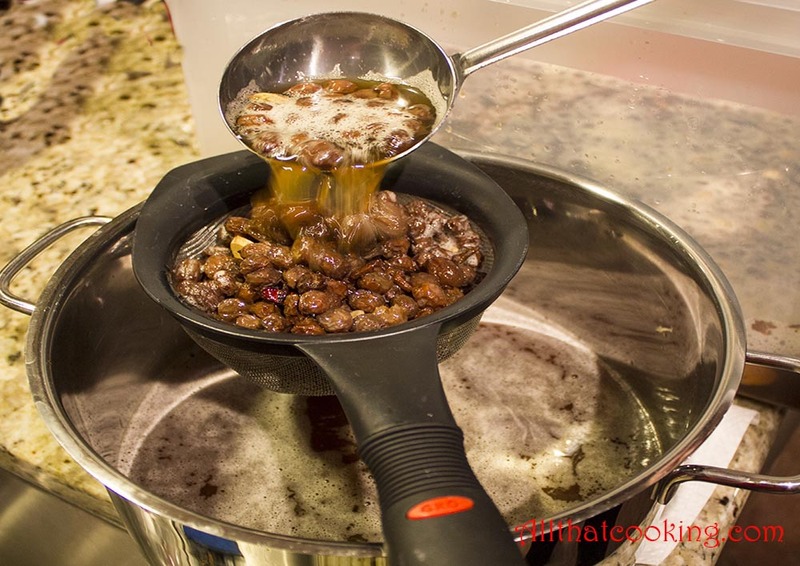 Gently heat glögg in a large soup pot to about 150 F but never more than 172°F (78°C) – don’t boil – as the alcohol will evaporate at that temperature. If you want to serve an alcohol free glögg just bring it to a boil and you will be sure to have no alcohol in it. 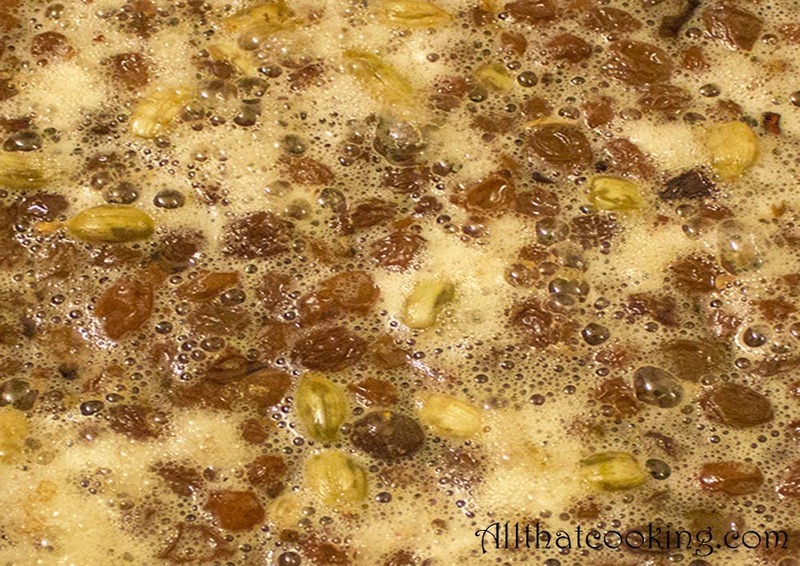 Place a few raisins and almonds in every glass and pour in the warm glögg. Skål! Glögg is traditionally served with Swedish Pepperkakor (ginger snaps). Straining the Glögg after 5 weeks. Straining glögg through a plastic filter bag we bought at the brewing and wine making supply store. You can also use a very fine cloth. When this is done leave the glögg in the pot for 2 days and don’t move the pot. After 2 days scoop the liquid through a filter again. Do this very carfully as there will be sediment at the bottom that you do not want. When you reach the sediment, discard the sediment as well as the very thin layer of glögg that tops it. Leave the pot for another 2 days without moving it and repeat this process one more time. . . .and of course the vodka. We happened to have a bottle of Polish vodka called Zubrowka in the freezer and that’s what we used. You may know it as Bison Grass Vodka. The blade of wild grass sticking out of the bottle in the picture above is what flavors this unique vodka. Final product labled and ready to enjoy! This will keep for years when stored a bit cooler than room temperature. The garage sounds like the right place or maybe just in your private wine cellar. Gallery | This entry was posted in Libations. Bookmark the permalink. Oli’s Glögg is a good name and the label is so surprisingly good and the joyful boy becomes better and better like the old wine. This looks so easy to do when you see it like this and Steinar says it is important to remember the 78°C. We were fortunate to quaff the glogg this evening. I returned to the gently-warmed pot a number of times to fill my cup with this light, complex and flavorful drink. Thanks for providing the recipe; I shall have to try making it next year.